It can be a challenge to keep up with the latest trends and news in the truck industry. With manufacturers constantly working on their next big build, and truck enthusiasts racing to discover the next hit trend, how do you keep a pulse on where the industry is really heading? Here’s our list of 5 truck enthusiasts and companies to follow for some of the biggest news and developments in the truck world. They’re also pretty entertaining to follow for truck lovers, too. 1. Diesel Sellerz, Utah. Started by Dave Sparks in 2009, Diesel Sellerz has gained attention over the past few years from the reality television series, Diesel Brothers on Discovery Channel. They began building tricked out trucks and selling vehicles in 2009 in Salt Lake City, Utah. 2. Xtreme Diesel Performance, New Jersey. “Since 2002 Xtreme Diesel Performance has been establishing itself as a dominant force in the diesel performance aftermarket. Beginning as Jersey Rebuilding Service, it has been in the diesel industry servicing fuel injection, turbo charging, and electrical systems for light to heavy-duty diesel engines since 1988. Their Facebook boasts more than 400K fans and they currently have more than 36k Instagram followers. 3. American Force Wheels, Florida. One of the hottest wheel companies in the truck world, “American Force Wheels is the leading manufacturer of forged aluminum wheels for 3/4 ton and 1 ton trucks.” (They) offer wheels in 19.5, 22.0, 22.5, 24.0, 26.0 & 28.0, custom built for Dually’s, SRW and Jeeps!” Stay tuned to their Facebook page for entertaining videos, and pictures of some seriously suped-up trucks. 4. Kory Willis and PPEI, Louisiana. 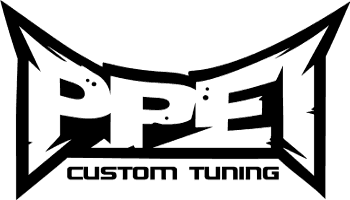 If you’re into tuning your truck, chances are you’ve heard of Kory Willis and PPEI. According to their website, “At Power Performance Enterprises, Inc (PPEI) by Kory Willis, we strive to bring your diesel truck to its full potential. Our mission is simple: to provide the best products and service to our customers at the lowest prices possible. We take great pride in our company, our commitment to customer service and in the products we sell….We offer our services to all, whether it is wanting better fuel economy, more towing power, or to those wanting their trucks all out potential to go fast and break records!” (http://ppei.com). According to their website, “our time behind the wheel and under the hood helps us experience firsthand the toll power, speed and performance take on engines. That perspective helps us formulate some of the best synthetic lubricants on the market. Because they not only have to protect your vehicles, they have to protect ours” (http://www.amsoil.com). Who are the truck trend setters you follow? Leave a comment on our Facebook page and let us know! ← How Does a Turbocharger Work?